Each evening throughout December, visitors can enjoy a wonderfully festive magical light display. The Dr Martin Luther King Jr building; situated near the entrance of Albert Dock, will become the canvas for an intricate light projection centered around the theme of “Unwrapping Christmas on Albert Dock”. Incorporating origami and hand-crafted paper designs in the style of a beautiful pop-up book - we will captivate your imagination and whisk you away on a fantastical journey of storytelling and imagination. The projection is the cherry on a very big Christmas cake at Albert Dock this festive season. From taking in Tate Liverpool’s unmissable Roy Lichtenstein in Focus exhibition and the fascinating and free exhibits at Merseyside Maritime Museum and International Slavery Museum, to the colourful displays at the Beatles Story, and endless fun and games at our popular family entertainment centre, Mattel Play! Liverpool; from delicious dinners and Christmas parties with a twinkly view at one the Dock’s world-class restaurants, to an eclectic array of independent stores and coffee shops to explore; the Dock has all the ingredients for a magical day or evening out for all the family this Christmas. 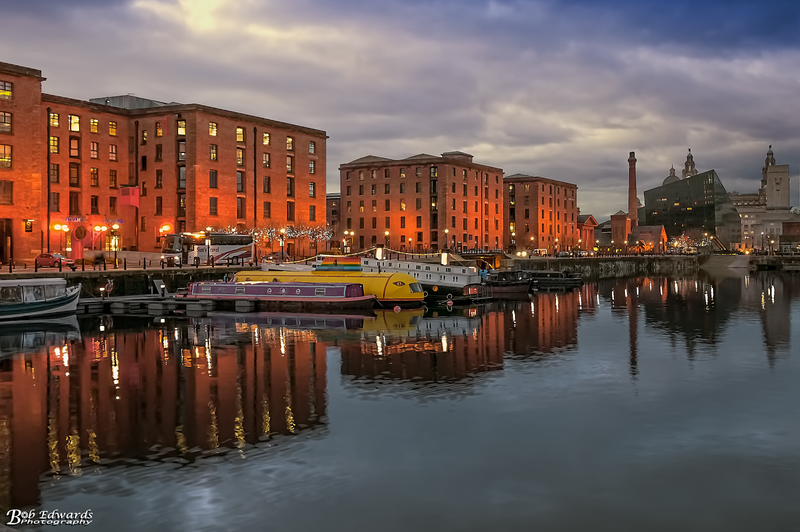 You can see the projection light up Albert Dock every evening from 5pm from 1 December through to 1 January.